Work zone crashes are an incredibly serious problem that continues to plague our Florida roads and highways. 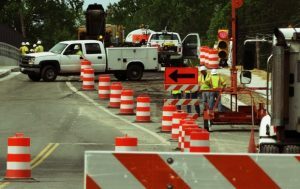 The U.S. Department of Transportation reports in a single recent year, there were an estimated 97,000 work zone crashes, an increase of nearly 8 percent from just a year earlier – and a 42 percent rise since 2013. Although most only result in property damage, our Fort Lauderdale car accident lawyers know that every single day, there are at least 70 work zone crashes resulting at least one injury and every week, at least a dozen deaths. Even while overall highway traffic deaths decline, work zone crash fatalities are rising. Of those killed, 85 percent were drivers and passengers in cars and 25 percent of those fatal crashes involved a large truck (compared to 12 percent of highway deaths overall). Recently, the Alabama Supreme Court affirmed a $3 million verdict for plaintiff in a highway construction zone crash lawsuit, after defendant construction company sought a new trial or alternatively a remittitur (reduction of damages).